A high performance adhesive with unlimited uses. New PC-Universal Glue™ is a high performance adhesive with unlimited uses. Non-foaming formula provides ultimate strength. The glue is a white color, but dries clear. A woodworkers dream. Tight glue lines with uncompromised strength. No VOC’s, Isocyanates or formaldehyde. 100% non-toxic formulation. PC-Universal Glue™ | 4 oz. PC-Universal Glue™ | 8 oz. PC-Universal Glue™ | 10.3 oz. Make sure surfaces to be bonded are dry, free of dust, dirt, rust, oil and grease residue. The glue is only as strong as the surface area it is bonding to. 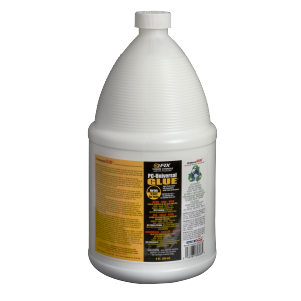 PC-Universal Glue™ is water soluble and can be cleaned up with soap and warm/hot water. Do I have to dampen the surface of what I am gluing prior to using? No. 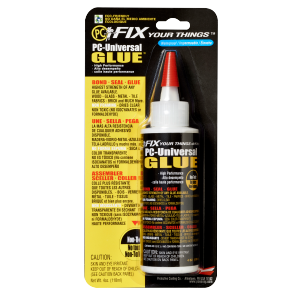 PC-Universal Glue™ does not require moisture to work. 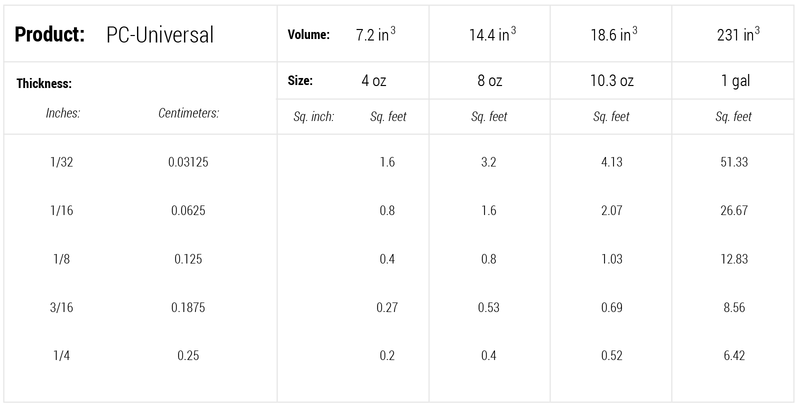 Does PC-Universal Glue™ foam during the curing process? I want to use it as a craft glue. Is this a good choice? Yes indeed it is. 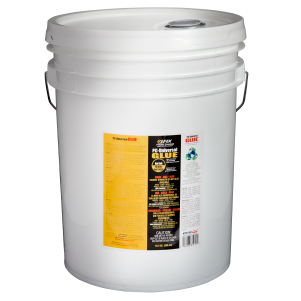 You can dilute the PC-Universal Glue™ in a one to one ratio with water where great strength is not required. Is PC-Universal Glue™ safe to use? Yes, it is. PC-Universal Glue™ is eco-friendly, and non- toxic. Unlike many other types of glues on the market, we do not use isocyanates or formaldehyde. There are also no animal by-products in our PC-Universal Glue™. Why do you call it a universal glue? 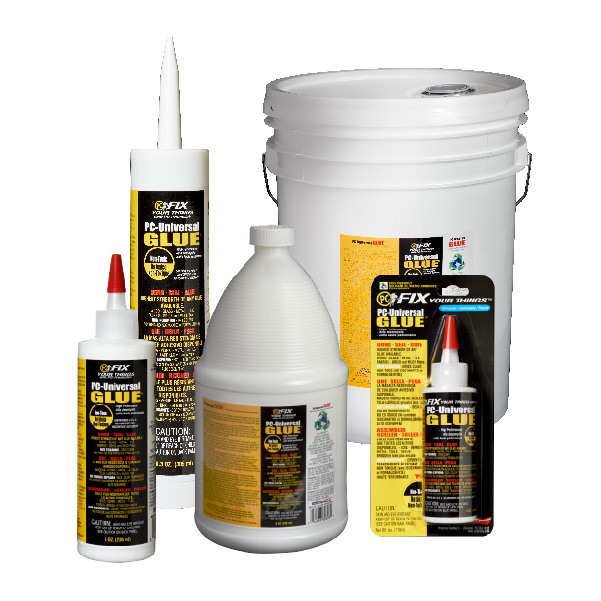 The glue can be used on any substrate that other glues are used on. There is no need for separate types of glues. 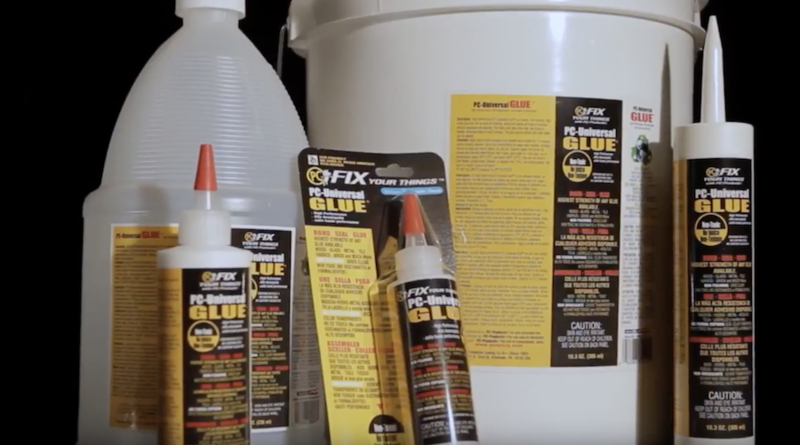 PC-Universal Glue™ works as a wood glue, a craft glue and an all-purpose glue with strength far exceeding the norm. PC-Universal Glue™ can be diluted with water to meet your bonding requirements and can even be diluted to 5:1 and used to seal new drywall. What color is the PC-Universal Glue™? PC-Universal Glue™ is white in color, but dries clear. Does PC-Universal Glue bond to Styrofoam? Yes. 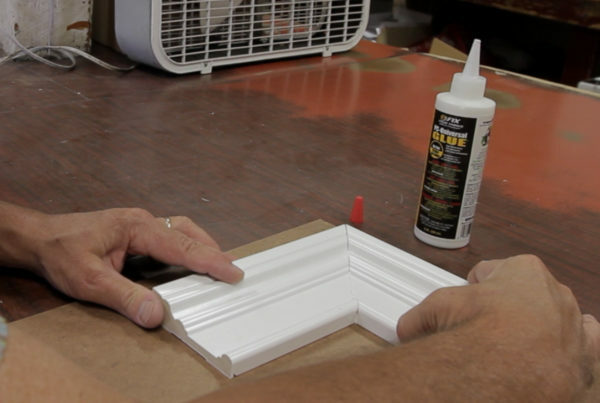 PC-Universal Glue™ does not build up heat, and contains no solvents that would affect Styrofoam. Since there are no harsh additives including alcohol, the glue will freeze rendering it useless. Always apply to a dry surface that is clean. Like most other glues, it is best to tape critical bonds in place with painters tape until it has set up.